It is as obvious as daylight how important it is to have enough funding to start up a business, whether it is a small or medium enterprise. In many cases, people, despite the brilliant business idea that they have, shy themselves away from setting up a business on their own because of having not enough money to get it started. For some, it is a risk they just could not take, especially when on their other hand is a good job generating a very stable income. Others, though, are brave enough to take the risk, seemingly throwing caution to the wind, spend all the money they have at the moment and invest it all in the business project they have come up with.The thing is, whether or not the money you have right now is less than enough, it should not cut your hopes to start a business. Generally, all over the world, obtaining loans is not as easy as withdrawing and depositing money in the bank. The same thing goes in Singapore. Obtaining small business bank loans are quite a challenge as these are often rejected by banks. However, there are many other ways of securing enough funds to startup your business idea. Loans from supportive friends and family are generally the easiest to obtain. That is if you have enough courage to tell them to trust you with their money. On hindsight, they are the people who know you enough to see that you are capable of running a business and that your idea is a very good one at that. These loans are flexible in terms of the payment schedule and the interest rates. Startup SG Founder, a scheme provides first-time entrepreneurs startup capital grant and mentorship. Startup SG Tech that provides early-stage grants for local companies to develop innovative technology that breaks the current markets and make way for new ones to start and it also provides Proof-of-Concept (POC) and Proof-of-Value (POV) grants, depending on the developmental stage of the company project. Startup SG Equity, which is managed by SPRING Seeds Capital and SG Innovate, and this scheme involves the Singapore government to co-invest with any of its 11 private investment partners to provide equity investments for startups. Startup SG Accelerator, a scheme is intended for accelerators and incubators—providing both funding and non-financial support. Startup SG Talent, which are schemes that foster a more conducive environment for promising global talent to set up innovative businesses in Singapore, and for startups to attract talent to be part of their team. Startup SG Loan, which provides startups with Government-back loans for different funding needs on working capital, equipment/factory financing and trade financing. Startup SG Infrastructure, a scheme was created to provide spaces for the growth, experimentation, and thrift of startups. Startup SG Investor, the pillar that provides tax incentives to fund-management companies and individuals who invest in local Singaporean companies and startups. VCs do not only provide financial assistance, but mentorship on increasing the profitability of a business and its effective operations management. Aside from that, VCs also give startups connection to the right people and experts in the industry for valuable business input. Venture capitalists, however, demand high rate returns, which can be 25% or more from their investments, within a span of two to five years. Similar to Venture capitalists, angel investors are individuals or group of individuals that offer both funding and non-financial assistance to startups in exchange for equity. With angel investors, however, they do not demand as high investment returns like venture capitalists, and have greater appetites for risks. In the western countries, crowdfunding is a popular way to get funds for different reasons—from startups, causes, to individuals who have different funding needs. 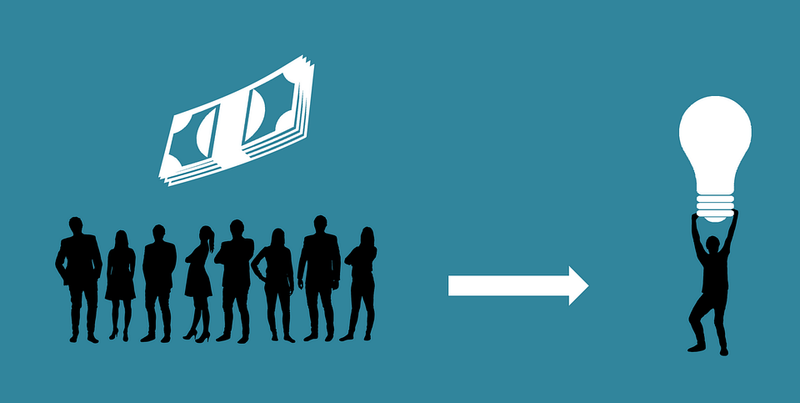 In Singapore, crowdfunding is yet to reach its full potential. And it requires, for one to successfully attract funding, being creative. Nevertheless, crowdfunding is still a viable option for startups to get funding. With the many options you can try yourself to fund your startup; it is always beat to do your research to know which scheme best suits the nature of your business and its projected returns. Do not be afraid to take risks for your business. Taking a step back out of fear may cost your business the opportunities it needs to grow and thrive.